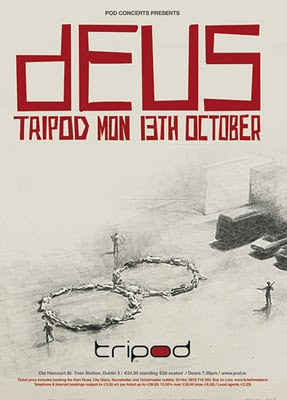 Deus poster from 2008. This is just the album cover they were touring at the time. Thing is 'deus' is done in this really thin scratch on the cover. Not ideal for a poster that sometimes needs to be seen from a distance. So I took it into illustrator and bulked it out. I hope it retained some of the spirit of the original, erm, not so sure about that. So anyway, I decided to hand draw the other text too.